Jdance Performance Studio is the Northern Districts premier ballet, dance and performing arts studio. Located in fully equipt studios in Marsfield, Jdance offers the most comprehensive range of classes in both ages and styles, for males and females. For example, where many of our competitors are only providing 3-5 classes in jazz/and combining too many age groups/dance abilities, Jdance provides up to 10! Jdance offers special capped rates which are unbeatable! CALL NOW TO FIND OUT ABOUT THIS SPECIAL DEAL! We also provide family discounts. Many of our clients often ask, "How can you offer such low prices and still provide top quality service and education?" The answer is simple! Jdance studios are owner occupied and family run. Jenny being the studio owner and a mother of 2 kids understands the financial pressures facing many families and endeavours to provide the best possible dance training with qualified & professional staff, many of whom have an important role in the entertainment industry including hit TV shows, musicals, video clips and movies. These can provide important contacts in this highly competitive field! Operating for over 30 years under the same ownership and still going strong we are the first choice, the only choice for all your performing arts needs. Dance classes in all styles for beginners through to professionals. classes/dance styles in the Northern Districts. ADULT ONLY Ballet, Tap, Jazz & Pointe! Musical Theatre - Sing and move like a STAR! Pom Pom/Cheer - For fun and fitness. Little Starz - A fun introductory class for toddlers! "Turns/Technique/Leaps/Stretch" - To excell in Dance. Commercial Open Age Hip Hop - Casual attendance. "Singing" - Small group &/or private lessons!!! "Drama" - Confidence, public speaking, expression!!! "Acro/Tumbling" - Cartwheels, aerials, walkovers!!! "Zumba" - Casual attendance, get fit and have fun. Jdance - Best Education Service – Winners and Finalists - Northern Districts Business Awards. Doesn't your child deserve THE BEST!!! If you are looking for a dance school that is warm, welcoming and lots of fun, look no further than JDance Performance Studio in Marsfield. JDance has classes for all ages and levels of experience – from complete beginners through to advanced and professional levels. Jdance is offering private & small group singing lessons again this year with expanded studios including a singing area with microphone facilities. Limited availability – so be quick to secure your spots. JDance Performance Studio were voted as finalists and have previously won the Best Educational Facility in the Northern Districts Local Business Awards – an honour for both Principal Jennifer Engelmann, and the hardworking teachers at the school. Operating as a specialist performing arts facility for over 30 years Jdance has the knowledge and experience to train your child to be highly motivated, educated and most importantly happy kids! Jdance studios are owner occupied and family run. Being a mother of 2 kids, Principal Jennifer understands the financial pressure facing many families, therefore Jdance endeavours to provide to provide the best possible training with qualified and professional staff at reasonable rates. 2019 will see JDance offer the northern district’s most comprehensive range of classes with some new and exciting classes on offer plus all the styles you know and love. New classes include pom/cheerleading, musical theatre, dance acrobatics, Zumba, while our most popular classes are already filling up fast! JDance Performance Studios has an elite group of dancers who perform as the JDance Performance Teams. These students range from 5-18 years of age and compete at local eisteddfods as well as perform at local events such as school fetes and Ryde Council events such Granny Smith Festival, Australia Day and Christmas Carols. JDance has had a stellar year in 2018 which saw all age groups placing at a range of eisteddfods plus a number of well-deserved first places for our performance teams. JDance runs exam classes in BBO Ballet, BBO Jazz and BBO/Glenn Wood Tap and achieved outstanding exam results in 2018 with the majority of students achieving distinction results and a 100 per cent pass rate across all students. A handful of students acheived perfect scores 100/100 - a huge acheivement. JDance has a wide range of past and current students working professionally in the dance field in Australia, London’s West End, cruise ships, with The Wiggles, with the Dallas Cheerleaders and across a range of commercial and movie roles – too numerous to list them all! Dedicated student Isabella Brown was the recipient of the Jdance full scholarship valued in excess of $2000... 5 x Minor scholarship winners received Jdance Performance Team scholarships. The studio is very committed and generous in offering a vast range of awards and scholarships to all students. Another reason JDance Performance Studio is so popular is its ability to cater for the individual needs of class members. Introduced just a few years ago, the school’s Boys-Only Hip Hop classes have gone from strength to strength with enrolment numbers increasing every year. The school prides itself on providing a comprehensive range of classes in singing, acro, drama, jazz, ballet, tap, hip hop, contemporary/lyrical, musical theatre, cheer/pom pom, turns/leaps/technique/stretch, adult only ballet, tap, jazz, zumba and Little Starz for pre-school children. And don’t forget, for those who want to excel JDance offers examination classes in Jazz, Ballet and Tap. With purpose-built, fully air conditioned premises, easy parking, professional facilities and committed staff, JDance is the perfect place to sing, dance and act your way to a fantastic 2019. Call Jenny on 0409 532 623 or check out jdance.com.au to find a class that’s perfect for you and your family. "Doesn't you child deserve the best"
Be Quick!!! Many classes, especially in the 5-9yrs age group, fill up quickly. Limited Vacancies! You can enrol at our enrolment day or prior to secure a spot now. See the "Fees/Enrolment" page for Enrolment Forms. See the "Timetable/Classes" page for proposed timetable download. ***You may download the forms from this website and send along with your deposit to secure your place in classes. See the fees/enrolment page for download and details. 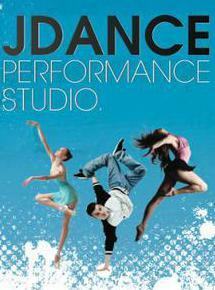 Jdance Performance Studio - 78 Agincourt Rd, Marsfield. Classes resume Monday 4th February!